KATHMANDU, Feb 27: One of Nepal's important development partners has asked the government to stop politicization in development activities. 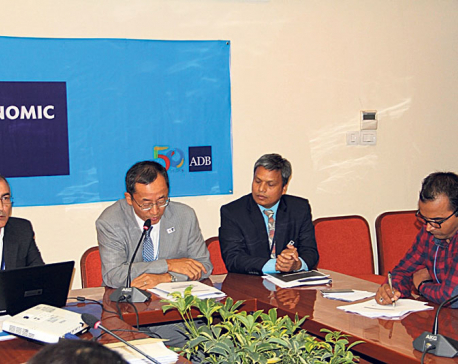 Addressing the first Tripartite Portfolio Review Meeting (TPRM) of the year 2017, Kenichi Yokoyama, Country Director, ADB Nepal Resident Mission, on Sunday asked the political parties to refrain from or abandon "the practice of so-called 'bhagbanda' -- division of spoils -- by all means, to ensure timely project execution." Saying that the ADB-funded projects have shown notable improvement in the year 2016, he attributed the success to project readiness, project leadership and human resources, procurement, contract management, safeguards, and addressing complex local issues. "Nevertheless, we must also say that the progress is just half way through, compared with our target of making annual execution -- contract awards and disbursement -- at par with annual lending -- new commitment -- level of US$ 300 million in recent years,” he said, highlighting the critical importance of having competent project directors. "Specifically, there is very high correlation between the strong project leadership and the performance of the project, i.e., project performance is stronger where it is led by a competent project director. The rapid progress of flagship projects such as Melamchi and SASEC power and transport projects are testament to this." He also asked the two-day TPRM to discuss and agree on critical issues related with high-attention projects, like ensuring timely completion of the Melamchi and Kathmandu water distribution projects to deliver water to Kathmandu by Oct 2017, while advancing reforms of Kathmandu Uptyaka Khanepani Ltd (KUKL) and addressing environmental concerns; and bringing the problem projects such as Tribhuwan International Airport (TIA) that is under deep trouble despite urgency of completing the works amidst heavy air traffic congestion, back on track; among others. In 2016, ADB's Nepal portfolio's financial performance in terms of contract award totaled $359 million and disbursement totaled $202 million, both highest in ADB's operational history in Nepal. Enhanced readiness of new projects and strong project leadership in some projects has contributed to this achievement, Diwesh Sharan, DDG, ADB South Asia Department, said on the occasion. ADB's portfolio in Nepal is growing; and as of end 2016, cumulative assistance, since its operation in 1969 in Nepal, stands at $4.9 billion and the active net portfolio stands at almost $2 billion for 34 investment projects. "Clearly, Nepal's portfolio performance has improved. However, challenges remain," he said, adding, "Of the active portfolio, 44 percent or $883 million is uncontracted and $1.3 billion remains undisbursed. It is the lowest as a percentage of the active portfolio (66 percent), and compares well with the ADB average (for 2015) of 44 percent and 64 percent, respectively." The corresponding contract and disbursement ratios were 30.5 percent and 16.1 percent, respectively. "However, given the pending amounts to be committed and disbursed, we are all here to collectively and very specifically, identify the issues project by project, and agree on actions to improve project implementation," Sharan added. Nepal's performance has improved steadily in recent years but challenge remains, he said, asking stakeholders to focus on efforts to ensure higher readiness, further improvements in procurement documents and evaluation scrutiny, stringent contract management to contain high implementation and fiduciary risks, and sound safeguard management, including environmental management, such as dust control. Likewise, he also highlighted the slow progress of some of the flagships projects, including Earthquake Emergency Assistance, Tribhuvan International Airport, Gautam Buddha Airport, SASEC Power and Road. Though Melamchi Water Supply Project is expected to deliver water to Kathmandu by October of this year, he asked the bank's officials to very closely monitor the progress and measures to accelerate as needed, to ensure target can be met for this much anticipated major accomplishment. Addressing the program as the chair of the inaugural session, finance secretary Shanta Raj Subedi said that the better performance does not happen by accident. 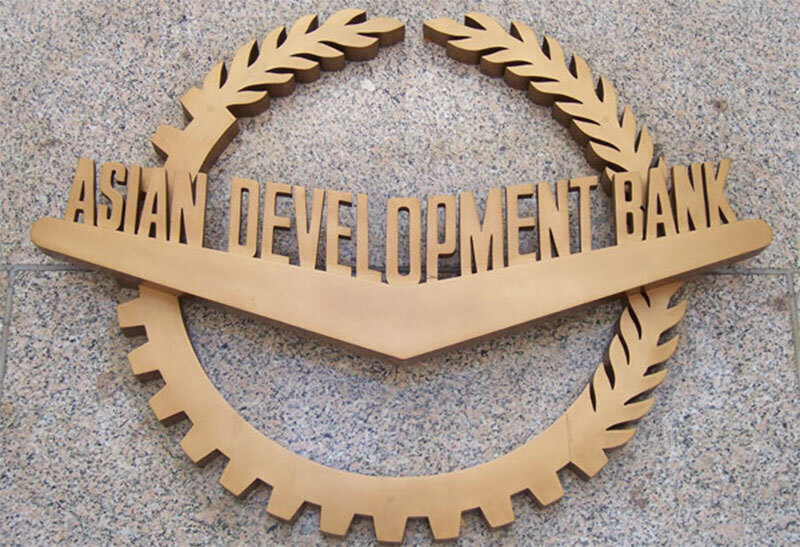 Asking the development partners to join hands with ministries in monitoring the projects, he asked ADB officials to brainstorm for two days and bring out doable solutions to expedite the projects. Likewise, Baikuntha Aryal, chief of International Economic Cooperation and Coordination Division of the finance ministry, listed some of the problems including project readiness, procurement problems, weak implementation capacity, lack of interagency coordination, resource constraints, social and political issues, project reports, monitoring and supervision, and also problems with development partners as factors that have hold the development projects back.